Celebrate this 4th of July with savings up to 70% off clearance at Macy’s! You heard me right – while we celebrate our independence, you can also save big during the Macy’s July 4th sale. In fact, you’ll save anywhere from 20-70% off clearance prices throughout the store; that means items that are already on sale are up to an additional 70% off! And the beautiful part? You don’t have to wait until the 4th to start saving! 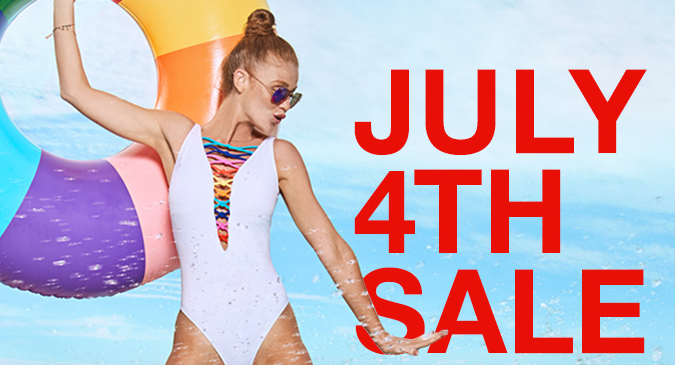 The Macy’s July 4th sale is going on right now. Looking for more ways to save during the July 4th Sale? Take 20% off your purchase with the code FOURTH. Looking to save even more? If you donate $3, you can take an extra 25% off your purchases, PLUS 100% of the $3 donation will go to benefit “Blue Star Families, Bunker Labs & Team Rubicon”. You can also take advantage of all these ways to save on Macys.com. So shop now and save big just in time for your July 4th festivities.